Next week I will be teaching a machine applique class for the Asheville Quilt Guild in Asheville, NC. 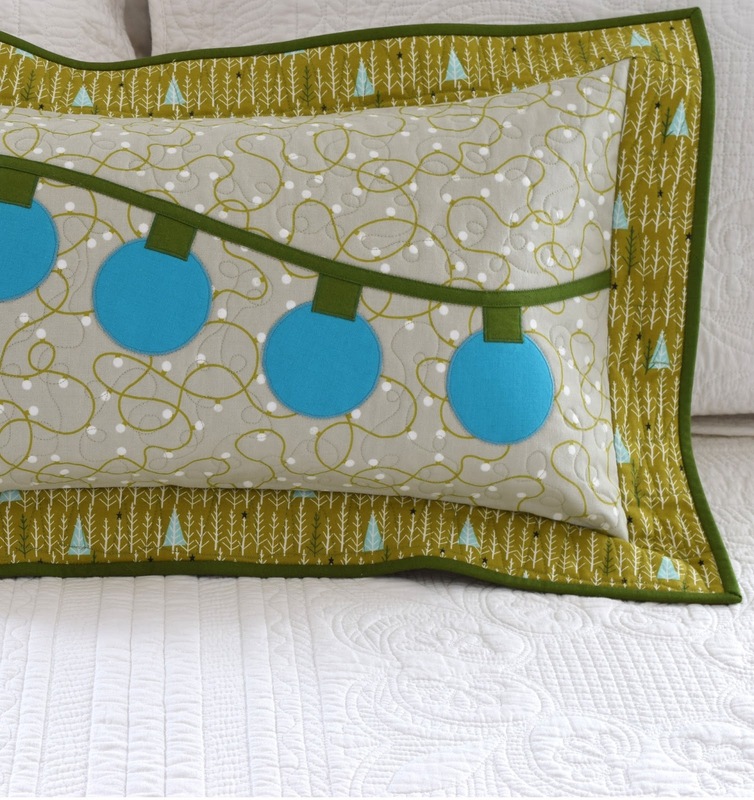 In this class, students will learn the technique of machine applique using the satin stitch (zig zag) practicing inside and outside corners and smooth rounded edges. The shapes from Blue Christmas will provide plenty of practice. Students can make either the pillow cover, table runner or just plain practice! There's still room in the class, so if you are in the area, you are welcome to join us. The class will take place on Wednesday, May 17th. Details and registration information can be found here. That looks great, lovely fabric and colours,and I'm sure your class will be heaps of great learning and lots of fun. Paige, this sounds like lots of fun. I'm sure everyone will have a wonderful time and learn a lot. I've always really loved this pattern of yours. What a great topic for a class! I hope you have a great time. Sorry to go off topic, but I have been studying that last light bulb quilt you showed. 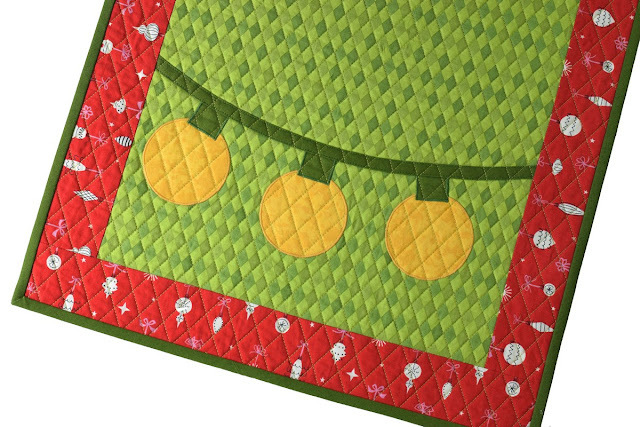 Is that green fabric already diamonds and you just followed the design in the the fabric with the quilting? It looks awesome! Janice, you know I love straight line quilting and when I saw the diamond shapes created by the harlequin fabric, I thought it would be the perfect quilting path. I quilted every other line. Even though the border is not that wide, I still had to mark it because it was difficult to maintain the spacing out in the border. Thank you! If only I lived a little closer. I used to always needle turn my appliqué but recently have started to venture into machine appliqué, I haven't used satin stitch, only buttonhole stitch and would love to have picked up some tips from you. Great samples for your appliqué class! Do you do the overstitching I have recently seen for the zig-zag - so do it twice around at less the buttonhole and then a second time to do the fill in? I haven't tried it but was surprised when I saw that. I'd be afraid of spaces.... I usually do needle turn but have occasionally done machine. This would be a good class for me to take, but it would be a bit of a drive. :) I hope you have lots of students, and have a good time teaching your technique Paige! Neat class! Wish I could come--Asheville isn't that far. Sadly, I'm working and can't take the day this close. Hope it's a great class! Your class will be awesome!